This patch allows you to use the Remove Shared Cooldowns, together with the No MiniGames and/or ME2Controller mods. ME2Controller You need to install this mod before its patch. No MiniGames You need to install this mod before its patch. 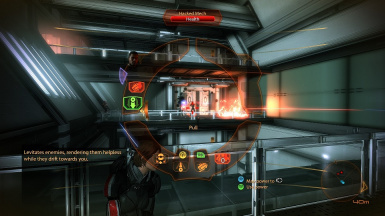 This patch allows you to use the Remove Shared Cooldowns, together with the No MiniGames and/or ME2Controller mods. Remove Shared Cooldowns is otherwise overridden by No MiniGames and ME2Controller, and vice versa. I simply followed the instructions on the Remove Shared Cooldowns mod page to make this patch: open SFXGame.pcc in ME3Explorer's Package Editor, select the exports tab and change the usesSharedCooldown property to false in the default__sfxPower entry. These steps could also be used to make patches for other mods that edit the SFXGame pcc file, like the Vignette Remover mod. Follow the instructions that correspond to whichever combination of mods you want to use. Follow the instructions of ME2Controller and Remove Shared Cooldowns on their own mod pages for their installation. Once you downloaded the patch you need for the particular combination you want from here, extract the file you downloaded and paste the SFXGame.pcc file inside into the following folder: "Origin Games\Mass Effect 2\BioGame\CookedPC". You'll be asked to overwrite the existing file, select Yes. If there is no overwrite prompt, you copied the file in the wrong place.